You can add default content to most template modules. This is helpful when you have a base content structure or format that you wish to repeat on multiple pages. Default content can be edited in the content editor, or prevent editing in content editors to lock default content on the template. Adding default content allows you to substitute your own text and assets for the module's stock copy, placeholder images, and so on. By inserting default content, you can set up all the formatting and options for that particular module. 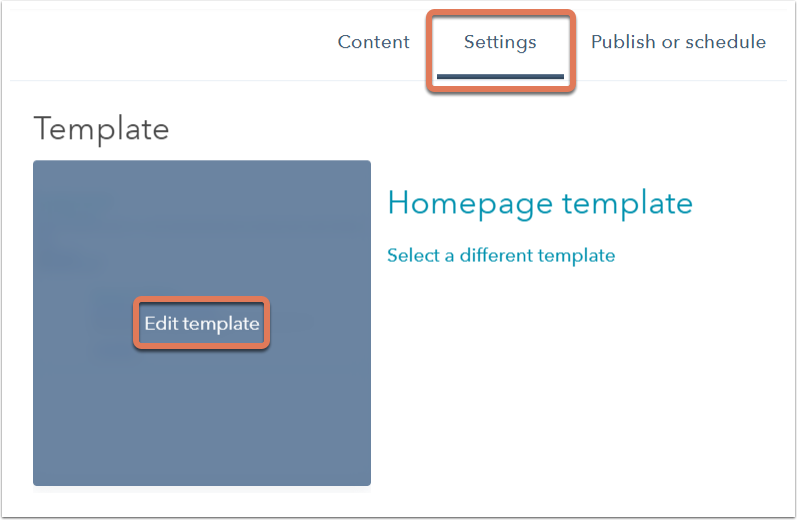 Once you're ready to create a blog, email, or page from the template, you can simply swap and make modifications to your modules' default content in the content editor. In your HubSpot account, navigate to your blog, email, landing pages, or website pages dashboard. Hover over the blog post, email, or page and click Edit. In the Template section, click Edit this template. In your template, click the module in the layout editor and locate the Default content section in the module inspector. Depending on the specific type of module, the options for editing default content may differ. For example, a form module will allow you to choose which form should appear by default, while a rich text module will allow you to add your own default rich text content. In the example below, the default content of a rich text module in a rich text editor can be edited by clicking the Rich text content preview, or Expand next to the Default content section header. After adding default content or setting default options for your template modules, you can view a live preview of your template with your default content by clicking Preview in the upper right of the layout editor, then selecting Live preview with display options, or Preview without display options. Selecting Live preview with display options allows you to modify display options in the preview, such as the viewport preset. When you're satisfied with your template preview, click Publish changes in the upper right. There may be certain modules in your template that require advanced customization or fixed content that you don't want users to be able to edit in the content editor. For example, if you have a landing page template with a custom coded HTML image gallery, you may not want internal users to be able to access that code in the content editor. 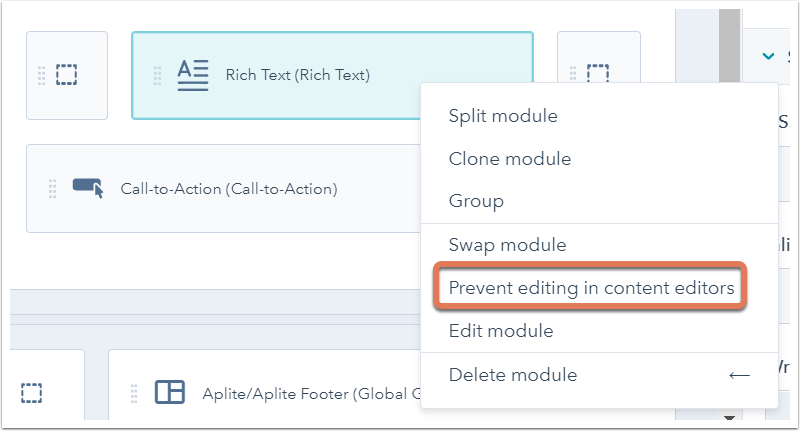 In your template, right-click the module in the layout editor and select Prevent editing in content editors. A strikethrough pencil icon notEditable will appear on the right of a module once it has been locked. To unlock a module, right-click it and select Allow editing in content editors. Please note: all modules on a blog template are locked by default. You can unlock the modules to make those sections of your template editable at the post level. Once the content contained within that module is overwritten at the post level, changing the default content of the module in the template will not affect those altered posts.